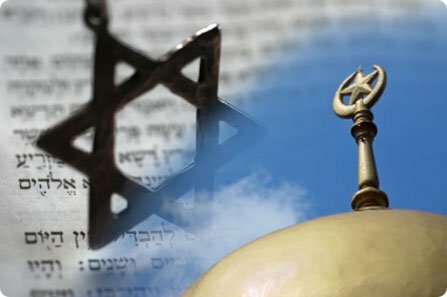 Hassan Shibly: Official Blog: So, what did the Muslims do for the Jews? Islam saved Jewry. This is an unpopular, discomforting claim in the modern world. But it is a historical truth. The argument for it is double. First, in 570 CE, when the Prophet Mohammad was born, the Jews and Judaism were on the way to oblivion. And second, the coming of Islam saved them, providing a new context in which they not only survived, but flourished, laying foundations for subsequent Jewish cultural prosperity - also in Christendom - through the medieval period into the modern world. Here also were the greatest centres of Jewish intellectual life. The most important single work of Jewish cultural creativity in over 3,000 years, apart from the Bible itself - the Talmud - came into being in Babylon. The struggle between Persia and Byzantium, in our period, led increasingly to a separation between Jews under Byzantine, Christian rule and Jews under Persian rule. Beyond all this, the Jews who lived under Christian rule seemed to have lost the knowledge of their own culturally specific languages - Hebrew and Aramaic - and to have taken on the use of Latin or Greek or other non-Jewish, local, languages. This in turn must have meant that they also lost access to the central literary works of Jewish culture - the Torah, Mishnah, poetry, midrash, even liturgy. The loss of the unifying force represented by language - and of the associated literature - was a major step towards assimilation and disappearance. In these circumstances, with contact with the one place where Jewish cultural life continued to prosper - Babylon - cut off by conflict with Persia, Jewish life in the Christian world of late antiquity was not simply a pale shadow of what it had been three or four centuries earlier. It was doomed.